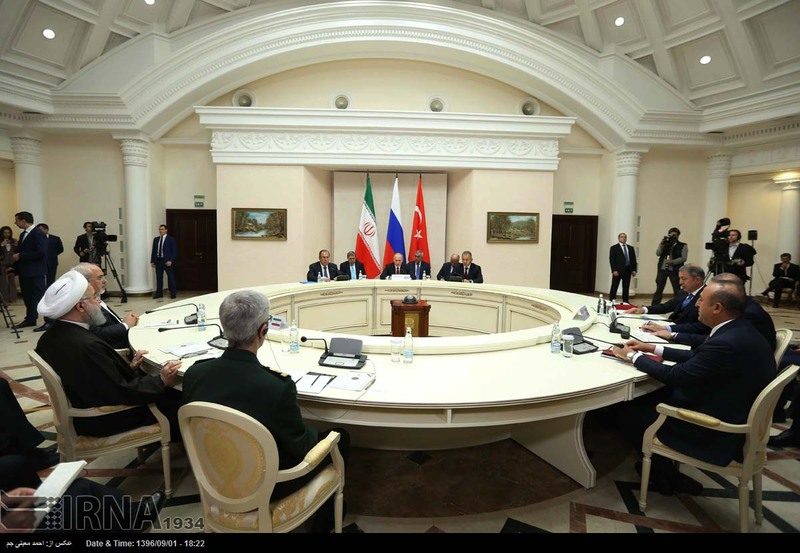 Russia, Iran, and Turkey have agreed to organize a "congress" involving Syrian government and opposition forces in an effort to end the Middle East country's six-year civil war, Russian President Vladimir Putin said on November 22. 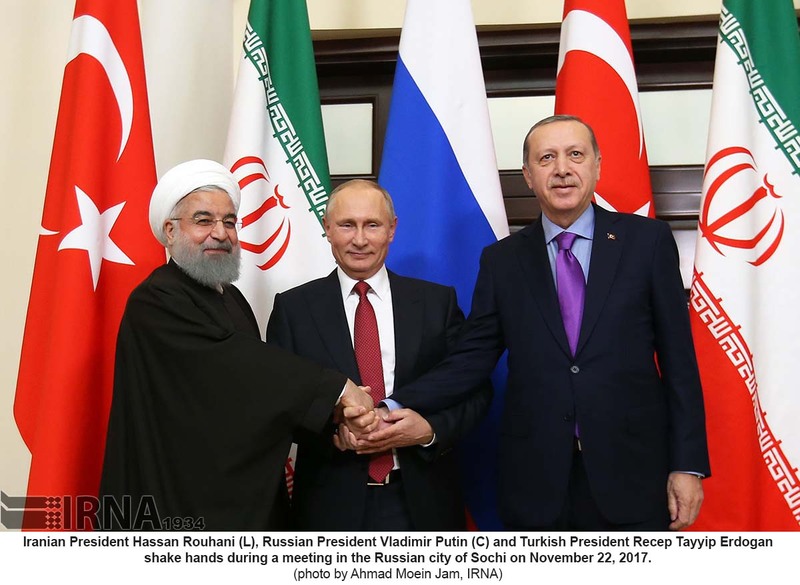 Putin made the comments at the end of trilateral peace talks with his counterparts from Iran and Turkey -- Hassan Rohani and Recep Tayyip Erdogan, respectively -- in the southern Russian city of Sochi. 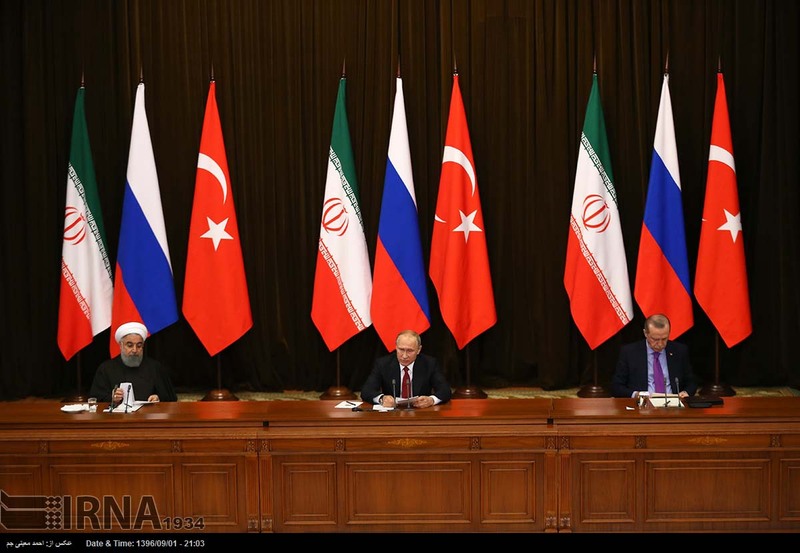 "The Iranian and Turkish presidents have supported the initiative to convene the Syrian national congress," Putin said, citing a joint statement issued by the three leaders at the end of their summit. "We have agreed to hold these very important events at the appropriate level and ensure the participation of representatives of broad layers of Syrian society in it," Putin said. Putin said the leaders had instructed diplomats, security, and defense officials to work on the composition and date of the congress to be held in Sochi, calling it a first step to establishing an "inclusive dialogue" among warring parties. "It is planned to bring together at the negotiating table delegates from different political parties, internal and external opposition, ethnic, and confessional groups," he added. It was not immediately clear how the new congress would differ from two parallel rounds of peace talks surrounding Syria's bloody civil war, which has killed more than 310,000 people, created 6.1 million refugees, and internally displaced some 5 million Syrians since 2011. The United Nations sponsors peace talks in Geneva in search of a political solution, while Russia, Iran, and Turkey co-sponsor negotiations in the Kazakh capital, Astana, that focus on battlefield issues and involve some rebel forces and the government. Russia and Iran back Syrian President Bashar al-Assad in the conflict, while Turkey and the United States support differing rebel groups fighting against his government. The extremist Islamic State (IS) group has also entered the fighting and is opposed by all other sides. Moscow's two-year air campaign in Syria has given Assad an upper hand in the conflict, while Russia has also faced accusations of killing hundreds of civilians with its aerial bombardments, allegations it has denied. Rohani called the trilateral talks "very useful" and added his support for the so-called Congress of National Dialogue between Syrian factions in Sochi. Earlier in the day, Erdogan stressed the "need to make significant progress on the political solution. I believe we will make critical decisions here." Before the start of the talks, Putin had said there is a "real chance" to end the civil war but that a political solution to the conflict would require compromises from all parties involved, including the Syrian government Moscow is backing. "There is a real chance to put an end to this yearslong civil war," Putin said. "It is obvious that the reform process will not be simple. It will require compromise and concessions from all parties, including obviously the Syrian government," he added. It was not immediately clear what Putin was referring to in the way of "concessions" by the Syrian government. The fate of Assad has been a stumbling block in previous rounds of peace talks. The United States and opposition groups have at times said his removal was a prerequisite to a peace deal, although U.S. officials, both under former President Barack Obama and current President Donald Trump, have eased off those demands. Saudi-owned Al Arabiya television reported on November 22 that a draft of a final statement of Syrian opposition groups meeting in Riyadh calls for Assad's ouster before the start of any transition period. Some members of the Syrian opposition have suggested the communique could drop mention of Assad, which would represent an easing of long-standing demands that he not have a role in any transition period. The groups are meeting in Saudi Arabia in a bid to create a single representative body for a new round of UN-sponsored talks in Geneva on November 28.